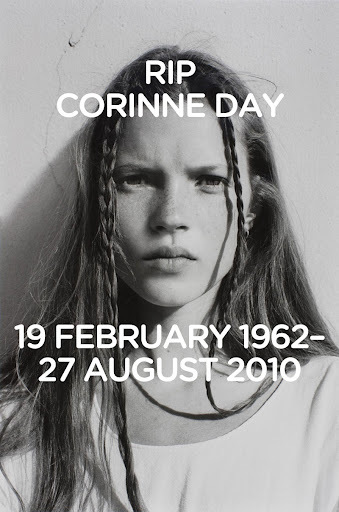 As you may know, Corinne Day died last friday. The cause was a cancerous brain tumor, discovered in 1996. In my opinion this amazing photographer must be honored because she was one of the bests!! 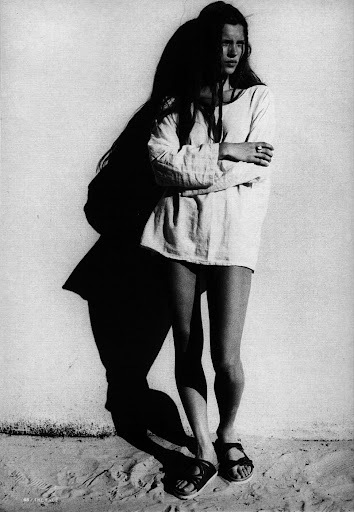 Como devem saber, a fotógrafa Corinne Day faleceu na sexta-feira passada, devido a um tumor cerebral, descoberto em 1996. Na minha opinião deve ser honrada pois era uma das melhores fotógrafas!! 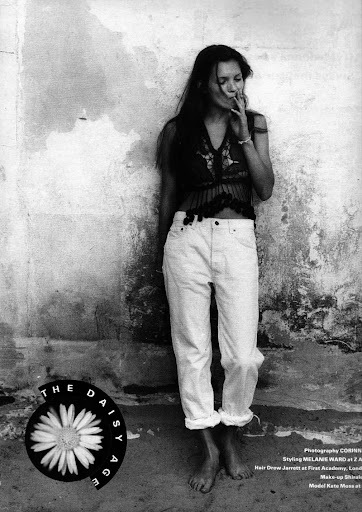 Corinne Day was born in Ealing, a town in west London. She said that her mother had run a brothel and that her father had robbed banks. They divorced when she was 5, and her grandmother raised her. As a girl, she said, she liked to spend hours in the photo booth at Woolworth’s with her friends. She left school at 16, worked briefly as a trainee in a bank, then flew around the world as an airline courier. A photographer she met on a plane suggested that she take up modeling, and she did, for Guess Jeans. In Japan she met a filmmaker, Mark Szaszy, who taught her to use a camera — they would later marry — and she began taking pictures of the drab private lives of her fellow models, who seemed so glamorous in public. 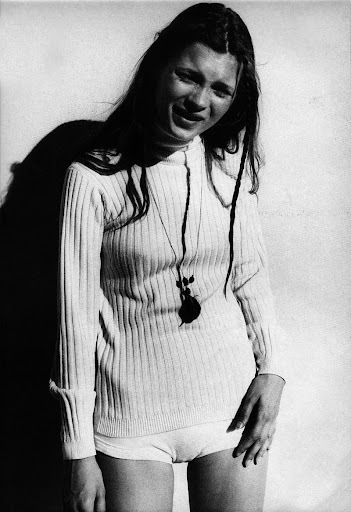 »There was a lot of sadness,« she said in an interview with The Guardian in 2000. 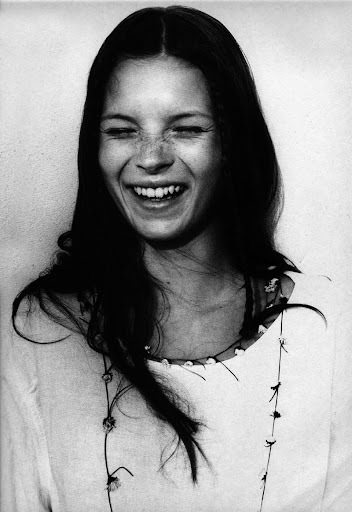 »We couldn’t buy the clothes we were photographed in, couldn’t go out and do the things we would have liked to do as teenagers.« She took her work to the art director atThe Face, who asked her to shoot some fashion pictures. She prowled the modeling agencies with a Polaroid and found Kate, whom she likened to »the girl next door.« They lived, worked and prospered together for three years. »Corinne’s pictures, you might say, made Kate, and Kate made Corinne’s reputation,« The Evening Standard said in 2007.